Over the past week, we have spent $2,540 on gift cards. You might think I’m crazy. I’m not. Maybe we’re going nuts for Christmas this year? Nope. We’re actually cutting back. So then why are we spending all this money on gift cards? Because….we’re going back to Disney World! What does one have to do with another? Well, read on. I’ll first go over the trip, then make clear why we dropped some serious bank on gift cards. Long time readers might remember that we went to Disney World in 2015. We had a great time. During that trip, we stayed for eight nights. We stayed at a deluxe resort. We dined with a Disney meal plan. It was a fantastic time with all of our family. My wife is our trip planner, and from the moment we got back, she was planning our next trip in her head. She wanted us to go while both of our kids were nine or under. Why? Because tickets get much more expensive after they turn ten. We went on a fantastic spring break trip to Tampa last year during the kids week off of school. We loved it so much that we booked the same rental for the same week in 2018. It was early fall when my wife brought up the idea of modifying the trip so that we could go back to Disney World. We looked through the numbers and made it work. We’re still going to our rental place, but for five nights instead of a week. Then, we’re going to Disney World! 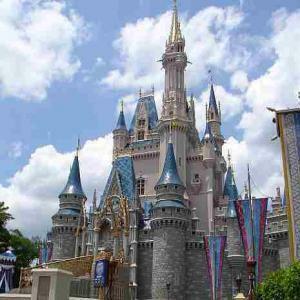 Length – We’re staying at Disney World for five nights. It’s still a longer total trip, but less time at Disney made it more affordable. Resort – Last time we stayed at a deluxe resort to get the best experience. This time, we are staying at a moderate resort. Dining – Instead of using the Disney meal plan, we’re paying our way. We’ll still be eating at restaurants around the parks, but we think we’ll save money. We found that with the meal plan (which was free as part of a promo last time), we were eating all the time. We ate meals when we weren’t hungry because we felt we had to. This time, we’ll eat less frequently. Plus the kids can split meals and such. Driving – We flew down to Disney World on our last trip. Since we’re going to Florida near Easter, flight prices were not affordable for us, so we are driving. It’s the holidays. For some reasons, holidays find great deal on gift cards. They mark them down so that you shop at the store. So deals are bountiful and we took advantage. We do most of our grocery shopping at Meijer. Now, Meijer has a whole display of gift cards. You can buy gift cards for just about anywhere. Amazon, Home Depot, Applebee’s. And also Disney. Meijer is running a special where, for every $100 you spend on gift cards, you get a $10 credit on your next bill. Each person registered in their in-store rewards program can spend up to $1,000 to get this reward. So, we each spent $1,000 on Disney gift cards and each got $100 towards future shopping trips. By spending $2,000, we are getting $200 in groceries for nothing! This was another great find. One day per year around the holidays, Target offers 10% off their own gift cards. Each person can buy up to $300 in gift cards at 10% off. You can then use those gift cards to buy other gift cards, including Disney cards. So, we each bought $300 of Target gift cards for $270. We then each ‘spent’ those on $300 of Disney gift cards. $200 in Meijer gift cards that will pay for 2+ weeks of groceries. By spending $2,540, which was money we were going to spend regardless, we ended up with $2,800 in spending power. It doesn’t get much better than that! The only downside is that we lost a little bit of money on cash back rewards. Had we spent the equivlant $2,540 directly with our travel agent, we would have gotten 3% cash back on our credit card. That would have given us $76.20. Our card gives us 2% cash back at Meijer, and 1% at Target, so we’ll end up with $45.40 in rewards. So, while we’re gaining $260 in freebies, it does, in a sense, cost us around $30. But we still come out ahead. Plus, I always look at the cash back as extra, in that we never count on it. So, either way we’re still coming out ahead. All in all, we are pretty pleased with how things turned out. I love when we can find ways to save on spending that would happen no matter what. Readers, have you ever used gift card promotions as a way to keep money in your pocket? Let me know what works for you in the comments below. Thanks so much for reading! So far it seems to have worked out great. We do this every year for Red Robin. I buy gift cards for our employees (small business), then we get bonus $$ to use through the end of February. Since RR often has specials as well for their ‘royalty rewards’ members, we can make those bonus bucks and cards go twice as far. Plus you get a free birthday burger — and a free burger for every ten you buy. $200 in gift cards works for us — that makes $20 in gift cards…and a free meal. That’s awesome. Our family enjoys Red Robin so we’ll have to look into this as well! Wow! The Disney World thing sounds great! Hereabouts we’re occasionally wooed by gift card distribution…but rarely are they for anything that interest me. I’ve been wary about trying the gift card hack by way of saving on expenses because at one point I read that if you don’t use them by a certain time, they either lose value or go away altogether. Never wanted to tempt that particular fate. Now that we’ve done that, we actually need to apply it to our account ASAP so that the gift card doesn’t somehow get hacked. I’m surprised that you can use the Target gift cards to buy Disney gift cards. Usually you can’t use a gift card to buy a gift card, in any store I’ve ever tried. You can use Target gift cards to buy most gift cards, you just can’t use them on Visa, MasterCard, and AmEx cash/gift cards. Before we bought, we actually did a screen shot capture of a response that they gave on Facebook to another customer who asked this question the very same day. Great idea! We often shop at Meijer too… so this sounds like a strategy we could use! I think the promo ended on Saturday but if they run it again, it’s definitely something to look out for. Wouldn’t be even more advantageous if you were buying gift cards to a store you usually go to (like Meijer) with a reward credit card? Reaching the minimum spending requirements on a good welcome bonus can certainly send you to Disney for free! If you have no idea what I’m talking about, check out Travel Hacking. We’ve used targeted rewards cards in the past (Disney, SOuthwest, Delta) to get the benefits like that. Other than that, though, we have three cash back rewards cards and will spend on whichever one offers the best percentage back, and we’re just fine with that. Cash always spends! Haha nice we did the Target one too but I paid with my Discover card and got an additional 5% off! I am looking to go to Tampa for spring break April 2-9 in 2018 with the whole family, think you could tell me about your rental you were very happy with? PM me on twitter.